With the festive season being the most popular time for proposals, Jo Lofthouse considers what happens to the ring if things fall through. As has been widely reported on social media this week, Paris Hilton and her fiancé Chris Zylka have separated. The pair however, almost 12 months ago had announced their engagement with a huge $2.75 million (£2.14 million) engagement ring. Reports have stated that Chris subsequently asked for the ring back when Paris had broken off their engagement. This is an issue that we often come across if an engagement has been broken off prior to the marriage and also following separation after marriage. With Christmas fast approaching there are many individuals who choose the festive period to pop the question. A well-known website, Wedding Wire reports that the festive season includes four of the most popular days for proposals. Christmas Day is top of the list, followed closely by Christmas Eve, New Year’s Day and New Year’s Eve. The only other special date in the top five most popular days for proposals being Valentine’s Day. So how does the law deal with this conundrum? Is it right to ask for the engagement ring back or should it remain the property of the person who received it? For couples in England and Wales the law states “The gift of an engagement ring shall be presumed to be an absolute gift; this presumption may be rebutted by proving that the ring was given on the condition, express or implied, that it should be returned if the marriage did not take place for any reason”. This is often seen to be the case if a ring (for example) is a family heirloom, where it is given with the intention of the marriage taking place and the ring then passing on to future generations. What the law states however is that it is not sufficient to assume that this would happen and it would need to be stated to the person receiving the ring. In basic terms this means that although it can seem unfair, unless there was an agreement to return the ring if the wedding was cancelled, then the recipient is under no obligation to return it. Where there is a condition of the ring being given, such as a marriage taking place or it remaining in the family owing to its significant value or place as a family heirloom, then the ring would need to be returned if the engagement was broken off. Usually the Courts would say that there was an implied intention that the ring would be returned if it was a family heirloom and had sentimental value. Although once again the fact that it might be an heirloom or have sentimental value would have to be proved to the Court’s satisfaction, which in civil matters is on the balance of probabilities i.e. it is more likely than not that it is a family heirloom or of particular sentimental value. This rule applies not only to engaged couples but also to those who are married again, if there was a condition set at the time the ring was given then it should be returned if the marriage breaks down and the spouses separate. Engagement rings can often be of significant value, and in many cases the most expensive piece of jewellery owned, unsurprisingly then this can often be an area of hot debate in the event of a divorce. Generally speaking the rule should follow that the ring, (unless previously stated that it would be returned if certain conditions arose), is considered to be a gift and therefore should be kept by the receiver irrespective of its value. So, it is important that if the ring is given and a condition is attached that this is crealy expressed to the person receiving the ring and preferably supported in writing in pre-marital (pre-nuptial) agreement or otherwise. 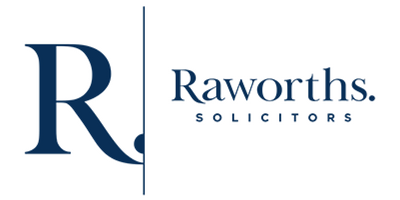 For advice on any aspect of Family Law please contact Raworths on 01423 566666.